It’s been a busy few weeks in transatlantic healthcare. Over here, Jeremy Hunt has imposed a junior doctor contract that’s likely to see doctors leave in droves, if he can force it through. Meanwhile across the pond, would-be presidential candidates Hilary Clinton and Bernie Sanders have been slugging it out over healthcare in the democratic primaries. The left-wing Sanders’ calls for a ‘single payer’ system – more like our NHS – have highlighted just how far President Obama's healthcare reform fell short of providing an equitable healthcare system, thanks to ferocious lobbying by US health corporations. And one man has played an interesting role in both situations. NHS England boss Simon Stevens came out in full support of Hunt’s decision to impose the junior doctors' contract, to the dismay of many. His intervention has prompted some to look again at what else Stevens - recently dubbed ‘the fourth most powerful man in Britain’ – might have up his sleeve, or rather, have hidden in plain sight in the poorly understood ‘Five Year Plan’. What’s known to surprisingly few is that before Cameron recruited him to run England’s NHS, Simon Stevens was a senior vice-president at US mega-firm UnitedHealth, with special responsibilities for lobbying both to water down ObamaCare, and to push for health to be included in the controversial TTIP transnational ‘trade’ deal. 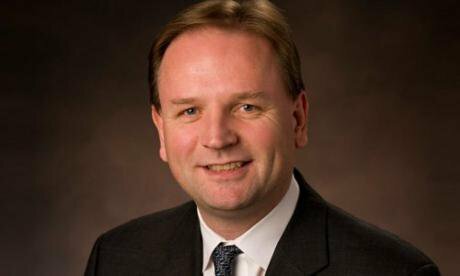 In a series of linked articles, we explore NHS boss Simon Stevens’ plans for England’s NHS – and how we can make sense of them in the light of his US roles. In this first article, we look at Stevens’ ‘big idea’ both at UnitedHealth and in his NHS 5 Year Plan - ‘new models of care’ – and show how these are market-based models that closely correlate to Accountable Care Organisations in the US. ‘Accountable Care Organisations’ – do they actually save any money? In April last year various members of the Kings Fund published an article (in the BMJ) offering their usual cautious endorsement of market-based developments for the NHS. In this case it was for the new care models outlined in the Five Year Forward View, and in particular for those models – the Primary and Acute Care Systems (PACS) and Multispecialty Community Providers (MCPs) - which most closely correlate with emergent Accountable Care Organisations in the US. As the article points out, the Forward View “explicitly acknowledges that primary and acute care systems are analogous to ACOs”, and, with health secretary Jeremy Hunt arguing that NHS reforms will lead to the development of ACO-like organisations in England, the Kings Fund authors ask what the NHS can learn from the experience in the US. But what they fail to mention, is that ACOs appear to be part of an overall strategy to frustrate the introduction of national health insurance in the US, and quite possibly to destroy it in England. Unpacking the meaning of ACO development in both England and the US is rather problematic, especially given the technocratic tenor of debate, and the sheer complexity of US healthcare. In fact commentators have by and large refused to accredit US healthcare with the term ‘system’ owing to its fragmented nature, with a host of relationships between insurers, providers, employers, state and other federal sources, and individual consumers. Payment systems and organisational formats are similarly byzantine, and the picture is further compromised by armies of uninsured and underinsured. However ACOs have been put forward as means of addressing at least some aspects of organisational fragmentation, soaring costs, and low quality outcomes. Initially developed to improve performance in the federally run Medicare programmes, the ACO concept has since expanded significantly and is now regarded as a cornerstone of the US healthcare reform agenda. The basic concept of an ACO is that a group of healthcare firms agrees to take responsibility for providing care for a given population for a defined period of time under a contractual arrangement with a commissioner. ACO’s use a variety of market-based mechanisms to lower costs whilst achieving a set of pre-agreed quality outcomes. This is mainly accomplished by ‘aligning incentives’ between providers and commissioners, or in other words, sharing any budget savings between hospitals, doctors and the commissioning Medicare programme itself. For those ACOs contracting with private insurers any savings will be shared between the two organisations. A close correlation exists between the scale of provider integration, the extent of risk assumption and the payment mechanisms used. ACOs may, for example, be given ‘bundled’ payments that cover all the care for a particular medical condition or treatment over a specified timeframe, Or they can get ‘capitated’ or ‘global’ payments, which are fixed payment to providers for all or most of the care that their patients may require over a contract period, such as a year, adjusted for severity of illness, and regardless of how many services are offered. The size of an ACO will on the whole dictate which payment option will be adopted: larger ones will have the scale and financial capability of adopting capitated payments which, although they mean offering more or less comprehensive care, involve greater financial reward. Several different types of ACO exist. Stephen Shortell, one of the authors of the Kings Fund article and a key advocate of the ACO concept, identifies at least five, though the main ones are, pace the Forward View, the integrated delivery system, and multi-specialty group practices. Integrated delivery systems - essentially the Kaiser Permanente model - typically own hospitals and other facilities and also have at least one salaried multi-specialty group practice (generalists working alongside specialists in a primary care setting) and also own a health insurance plan. Multi-speciality group practices on the other hand may own a local hospital, or have strong affiliations with one, and may have contracts with several health insurers in their area. Or at least that’s the theory. But even in their short time span ACOs have encountered several problems, according to the Journal of Health Politics, Policy and Law (August 2015), and while some projects are novel evidence suggests that efficiency and qualitative gains have been negligible. Far from saving money the various Medicare ACO programmes have seen increased costs, largely through the use of shared saving bonuses and subsidies for providers. None of the projected $320 million savings were achieved between 2011-2014 – in fact the ACO programme actually COST Medicare an additional $3 million, according to a Kaiser Health Foundation report. The report also highlights how only a small (and shrinking) percentage of the ACOs really ‘share risk’ with Medicare – the vast majority, 334 out of 353, are eligible for bonuses but face no penalties for losses. Similarly the incentives to create ACOs have led to greater consolidation of providers and to hospitals buying up physician practices, both of which lead to raised overall spending. Such consolidation has also raised concern that regionally dominant ACOs will use their market power to drive up costs with the likely encroachment of anti-trust laws. Of perhaps more concern, especially for the NHS, is the extent to which ACOs, far from being transformative, are simply a faddish rebranding of existing for-profit structures – effectively, just Health Maintenance Organisations in drag - as commentators like Theo Marmor and Kip Sullivan have suggested. The question is far from semantic as HMOs are often seen as the most objectionable aspect of the US ‘system’, and certainly a primary cause of repeated clamour for reform. HMOs can be considered as the key institutional expression of what’s known as ‘managed care’, deemed a corporate compromise between insurers and large employers to contain costs whilst also ensuring profits and disciplining the workforce. Essentially HMOs act as financial intermediaries between customers and providers, collecting payments from the former and arranging their care with the latter. They do however come in various guises, distinguished primarily by the degree of integration between healthcare insurers – the financial intermediaries - and service delivery from hospitals and physicians, and using instruments such as capitated budgets, pre-authorisation and strict utilisation reviews to manage expenditure. As leading critics of the model, Drs Himmelstein and Woolhandler, point out however the history of HMOs isn’t exactly edifying, and includes routine denial of patients’ access to medically necessary treatment, fighting claims, screening out the sick, paying exorbitant CEO salaries, and undertaking systemic fraud. And all while offering what is effectively low rent medical care with considerable hidden costs in the forms of top-ups and deductibles. Whilst HMOs are primarily dominated by large corporate insurers, ACOs are put forward as being led by providers – and by friendly local healthcare providers, at that. Advocates of this argument, such as Ezekiel Emanuel, a key architect of Obama’s Patient Protection and Affordable Care Act (ACA), went so far as to say that ACOs would soon make the big health insurance companies redundant. However within a year of the ACA consultants Booz & Co (now part of PwC) reported that “virtually every major payor (insurer) is either involved in, planning, or seriously considering ACOs. Many health plans are actively helping providers, especially integrated systems and primary care physician (PCP) groups, to form ACOs… some of these projects are more ambitious, while others are simple re-brandings of existing constructs”. Like Shortell, Booz describe differing ACOs and how the insurance industry – companies like Aetna, UnitedHealth, Humana and Blue Cross - are taking a leading role in developing the model. Such activities include offering shared savings to clinicians, to analysing data and assessing how risky patients are before they’re accepted as eligible for that ACO’s plan. They also offer ACOs disease management programmes and an already established customer base. By 2013 UnitedHealth, for example, were able to report that accountable care currently accounts for more than $20 billion of the company’s reimbursements to providers, and the insurer says it expects that number to more than double to $50 billion by 2017 as it contracts with additional ACOs. In many ways the attempt to pass off ACOs as anything more than HMO re-treads would be laughable – if it weren’t for the fact that it represents a tried and tested routine to contain dissent and use market-based alternatives to single payer or national health insurance. Indeed Himmelstein and Woolhandler recently wrote that they hoped George Orwell’s memory hole from 1984 remained in good repair as “today we need it to cleanse memories of managed care’s profit-driven abuses, so we can proceed, unimpeded by history, with ACOs”. The authors note that the arguments for ACOs are exactly the same as those used in 1971 to usher in HMOs and counter Ted Kennedy’s proposals for single payer healthcare. These include a shift from payment per procedure to “increased financial risk sharing methods to avoid cherry picking”, and “quality measures to assure that evidence-based care is not denied as a cost-saving mechanism.” Such ambitions were soon overtaken by gaming and deception, including up-coding and over-diagnosis. Clinics and hospitals were consolidated into much larger for-profit entities, small local players were forced to fold or were swallowed up by large national insurers, and more insurance risk was shifted onto doctors. Himmelstein and Woolhandler could have gone further however. In the health reform process of 1992-3 the same advocates of HMOs, including Paul Ellwood and Alain Enthoven (healthcare guru for both Kaiser Permanente and Margaret Thatcher) came up with the idea of Accountable Health Partnerships as another means of frustrating calls for a single payer, NHS-like system. Such AHPs were conceived as “super-HMOs” with large insurance companies assembling “coalitions of hospitals, doctors, and laboratories”, and private health plans should be publicly accountable for both cost and wellbeing of subscribers. Such accountability “could only be achieved if health plans were well managed networks of providers operating within the constraints of fixed prospective (capitated) budgets”. The corporate lobbyists shouldn’t have been too concerned as the Clintons, unlike Kennedy, were never genuine about transforming the healthcare system. And as Glen Greenwald has pointed out, Obama simply practices the same “triangulating corporatism of the Clinton era, just re-packaged with some sleeker and more updated marketing”. It’s also worth noting that some 20 years later Hillary Clinton’s position is all the clearer for being contrasted with her opponent for the Democratic nomination, Bernie Sanders. Whist Sanders – like Ted Kennedy back in 71 - wants a single payer system, Clinton merely wants more tinkering with market mechanisms. So as far as the NHS is concerned the experience from America regarding ACOs isn’t encouraging. As mentioned at the outset, NHS England’s Chief Executive Simon Stevens – himself a former Executive Vice President with UnitedHealth - proposed the ‘new care models’ as the core organisational structures of his ‘Five Year Forward View, supposedly to ensure the stability and continuity of the NHS. And as already mentioned the two models most frequently cited from the Forward View, the Primary and Acute Systems (PACS) model, and the Multispecialty Community Providers (MCPs), closely correlate with the US ACO ‘integrated delivery systems’ and ‘multi-specialty group practices’ identified by Shortell. Such models are currently in development via a range of vanguard sites throughout England, similar in fact to the Medicare pilot programme in the US, although other variants, including prime and alliance contracting are already in place. And, as in the US, provider consolidation will become more commonplace and similarly detached from public ownership. Hospitals, for example, are being encouraged to form brand chains as Stevens unveiled the plans to the Confederation of British Industry in November last year, and GPs and specialists are being encouraged to regroup into more business-like networks, federations and super-partnerships capable of contracting with a wider range of other healthcare firms and NHS fundholders. One of the leading ‘vanguard’ sites is the Vitality Partnership in Birmingham - since renamed Modality - which told the Kings Fund in 2014 that its ‘super-partnership’ model was actually a ‘GP managed care organisation’. Interestingly, David Cameron made his first major post 2015 election speech at the Vitality Partnership – holding it up as an exemplar as he renewed his vague pledge for a “7 day NHS”. Indeed most of the new models have the potential for private sector leadership, with many of the alliance contracts, for example, having NHS Trusts and physician groups in sub-contractual roles. They may also afford private providers the financial clout and geographical reach to start forming larger integrated delivery systems. Or, as Nick Timmins put it in his insider expose of the Lansley health reforms, the future is "patients choosing between competing integrated care organisations; a choice so to speak between a set of NHS Kaiser Permanentes". The effects on patients could be worrying. Many of these will adopt capitated forms of payment or use bundled payments for episodes of care or particular patient pathways, and include performance related bonuses for staying within budget. A recent investigation by the GP magazine, Pulse, reported that in at least 9 CCGs GP practices are being awarded payments to cut referrals to hospital. However it’s not just the landscape of service delivery that is being recast in the US image; the guiding role of insurers and global consultancies, to be achieved via control of the commissioning function, may offer a full reproduction. Such companies, including McKinsey, KPMG, PwC, and Stevens’ old firm UnitedHealth itself, had anticipated commissioning control through the ‘Framework for Procuring External Support for Commissioners’ (FESC) programme of 2007-10, but the full outsourcing option never materialised, with the Health Select Committee labelling it an ‘expensive’ system. Instead GPs, nominally organised into CCGs, provided a useful and certainly more politically acceptable shell which would allow the time and investment for market creation in ‘commissioning support organisations’. And with the pressures on GPs within their commissioning roles becoming increasingly untenable – they were never cut out for procurement decisions - such support will readily become operational. With CCGs set to implode, commissioning support on the other hand has rediscovered some dedicated leadership. Various consultancy and insurance giants “have been operating a discreet forum at which they receive regular briefings from senior health service managers charged with ushering in the new era of competition among its providers”, the Guardian has already exposed. These companies include many of the firms who hoped to get their hands on the NHS purse-strings through FESC a few years ago, such as KPMG, Capita, McKinsey, EY and PWC – and UnitedHealth, who chair the group. No minutes are kept, but the Guardian notes this Commissioning Support Industry Group will be involved in “offering CCGs advice on patient care reforms, drug purchasing, negotiating hospital contracts and outsourcing services to the private sector”. The Kings Fund article mentioned at the outset asked what the NHS could learn from the experience of ACOs in the US. A final example should suffice in showing the nature of ACO relationships and how effectively they are being leveraged into the English NHS in both practical and ideological terms. Wirral Health Partners in Liverpool is one of the PACS vanguard models and includes the US ACO Advocate Physician Partners among its collaborators. In September 2014 it was reported that in the US, UnitedHealth has already established accountable care organizations (ACOs) with the same firm - Advocate Physician Partners. The familiar spin tells us that the collaboration “is designed to improve health outcomes and reduce costs by facilitating the delivery of more coordinated care for Medicare beneficiaries. UnitedHealth will share data and incentives with Advocate Physician Partners with the goal of closing gaps in care and ensuring beneficiaries receive the care they need at the right time in the most appropriate setting. The health systems will share in any savings that result from providing higher-quality, better-managed care”. Wirral Community NHS Trust also reported that “Wirral Health Partners now also includes the Kings Fund (a charity that shapes health and social care policy and practice in England)”. It would seem that the process is not so much about learning as full scale replication of dominant for-profit US models, and under whichever guise these are currently adopting. While being presented as a key component in ensuring the continuity of the NHS, it seems ACOs could be, much like in the US, a means of destroying single payer national healthcare systems. The author would like to thank the Amiel & Melburn Trust for their support with his research for this piece.